Thanks to Empower Yoga, “namastes” are now happening all over Bossier Parish. 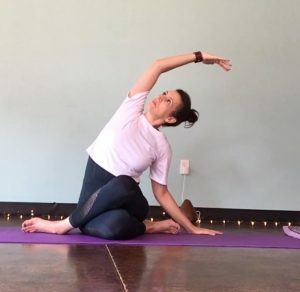 With the success of Empower Yoga in Bossier City, the studio has now planted seeds in Benton spreading zen to a new location still within the parish. 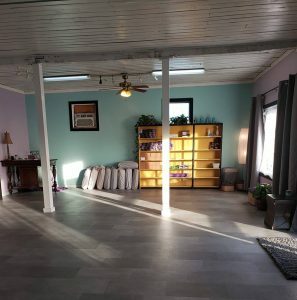 With the increased momentum of the first location at 1114 Villaggio Blvd., owner Tina Womack-Roccaforte saw an opportunity in Benton to grow the yoga business. “My fiancé Dennis and I chose to open a studio in Benton because that is where we live, my daughter attends school [in Benton], and it is our community and we want to support it. Our goal is to offer a wellness experience by offering yoga, acupuncture and massage,” she said. The Benton studio opened in early December and has been housing the majority of the current yoga classes, with the exception of aerial yoga. Womack-Roccaforte’s business name comes from her desire to “make every person feel welcomed, nurtured, inspired and empowered.” She is a 200-hour certified yoga instructor and registered with Yoga Alliance. She also has certifications in kids and family yoga. She said she views yoga as a healing tool. If you’ve never tried yoga before, a good class to begin with is Slow Flow. Beginner classes are offered several times a week. Womack-Roccaforte said this class is a slower pace but teaches strength, stability, improved posture and mindfulness. Along with Womack-Roccaforte, three other instructors make up the team at Empower Yoga. Each of the instructors bring different types of yoga practices to the studio. One of those special practices is aerial yoga, which is only taught at the Villaggio location in Bossier City. This type of yoga is divided into two classes: Aerial Fly and Aerial Float Yoga. Fly and float differ in the level of experience needed. With Aerial Float students utilize the ground as well as float positions. Aerial Fly students do “full inversions” which means students are inverted in certain poses in which their head is above their heart. To participate in the Aerial Fly class, students must take a prerequisite of Aerial Fly Workshop. Empower Yoga is also planning on hosting a men’s power workshop in February. Look for more details on this workshop on their Facebook page. To view the schedule and sign up for courses, click here or call 318-655-2211. Previous Post:Lovin’ My Job in Bossier: Kurt Nixon, Main Squeeze Juice Co.